Bread is an object that is always in process of becoming something else: flower to grain, grain to dough, dough to loaf, loaf to crumb. Bread is also often a figure or vehicle of social cohesion: from the homely image of "breaking bread together" to the mysteries of the Eucharist. But bread also commonly figures in social conflict - sometimes literally, in the "bread riots" that punctuate European history, and sometimes figuratively, in the ways bread operates as ethnic, religious or class signifier. 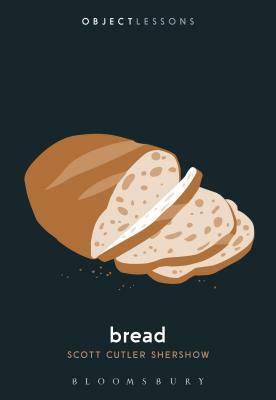 Drawing on a wide range of sources, from the scriptures to modern pop culture, Bread tells the story of how this ancient and everyday object serves as a symbol for both social communion and social exclusion. Scott Cutler Shershow is Professor of English at University of California, Davis, USA. He is the author of five books, including Deconstructing Dignity: A Critique of the Right-to-Die Debate (2014).